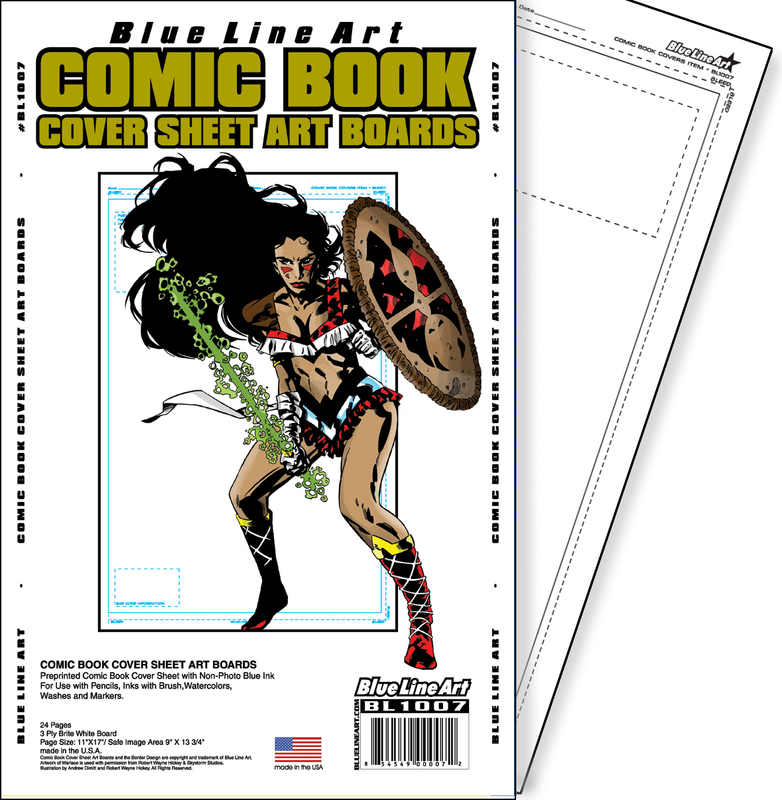 Comic Book Cover Art Boards provide a border for your drawings with clearly marked bleeds and trimming for possible placement for a book’s logo and company information. 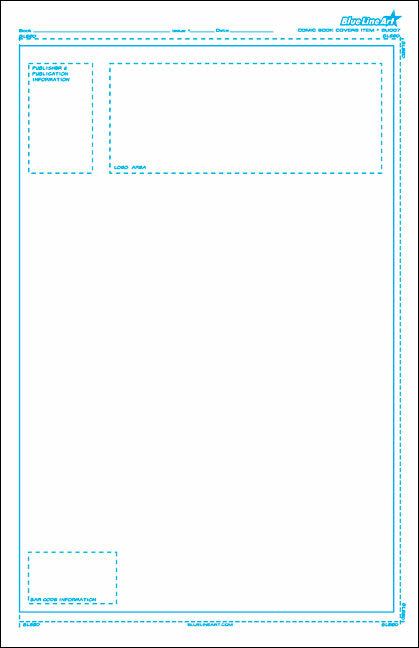 This gives you an idea of where to place important elements of the cover so they wont be covered up when the logos are placed. 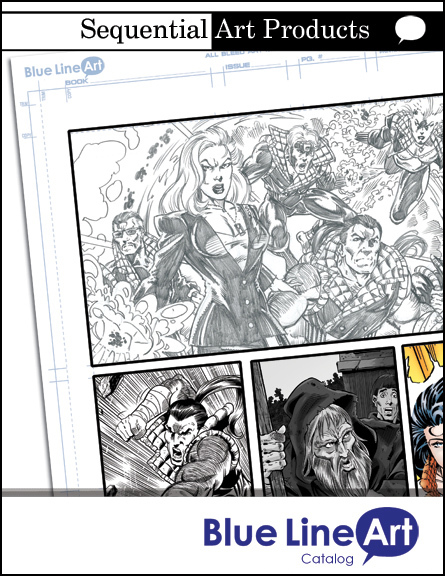 Comic Book CoverArt Boards /12 3-ply Art Boards (11 x 17) printed with a 10 3/4 x 16 non-photo blue border/ bagged.